Humans have their genomes sequenced, there’s a lycophyte genome, a moss genome, a liverwort genome, shloads of angiosperm genomes… but until this week no fern genome had been sequenced. It was the last frontier! But we need wait no longer — with the publication earlier this week of “Fern genomes elucidate land plant evolution and cyanobacterial symbioses” we have not one, but two fern reference genomes: Azolla filiculoides and Salvinia cucullata. Special congratulations to lead author (and former Rothfels Labmate) Fay-Wei Li, by whose blood, sweat, and tears (mostly tears) this achievement was made possible. 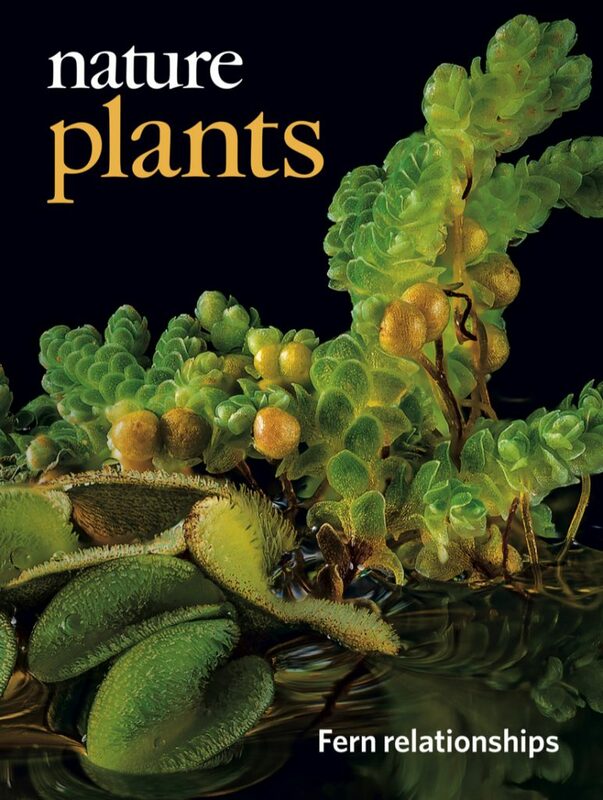 This paper has also received some cool press–Discover Magazine, Cosmos, Earth.com, Cornell Chronicle, BTI press release, and Nature Plants News & Views–it’s great to see people excited about ferns, and fern biology. This is such an amazing contribution! And what an absolutely beautiful cover to go with it.